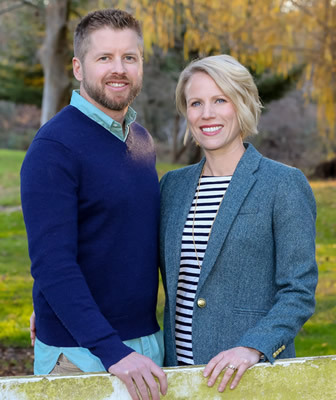 Brady & Erica Hobby – Dedicated Real Estate Experts in the San Ramon Valley. With more than 25 combined years of residential real estate experience we have been representing the best interests of buyers and sellers in the East Bay and beyond. Hobby Associates specializes in the buying and selling of residential real estate property in Danville, Alamo, Diablo, Blackhawk, and San Ramon as well as the surrounding communities of Livermore, Pleasanton, Dublin, Walnut Creek, Pleasant Hill, and Lafayette. As homeowners who have proudly called the San Ramon Valley home for more than 30 years, we understand the emotional and financial commitment that goes into buying and selling a home. Your home is one of your greatest assets and the place you raise your family and create memories. We take pride in helping you through this milestone in your life and adding you to the list of clients we now refer to as friends. Our commitment to provide prompt, professional, and courteous service resonates with our affinity for real estate. Not only are we an independent real estate brokerage firm with a solid reputation for strong negotiating, exceeding client expectations, and personal attention to detail, we are also residents of Danville who have chosen to live here and raise our children. This gives our clients an extra edge, as we are familiar with the neighborhoods, HOA’s schools, parks, shopping, dining, and recreational opportunities that make living in the East Bay so desirable. Hobby Associates is a full-service residential real estate brokerage that is proud to be among the Top 5% in our industry in residential sales year after year. We have successfully closed hundreds of transactions and represented buyers and sellers and their family and friends. Proven professionals among lenders, vendors, other agents, brokers, and clients, our commitment to excellence does not stop at the close of escrow – it remains for a lifetime. Call us or email us today. We can’t wait to help you with the sale or purchase of your new home!